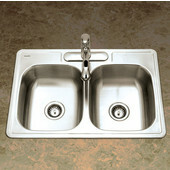 With a huge selection of kitchen sinks, KitchenSource.com makes choosing the perfect sink simple. 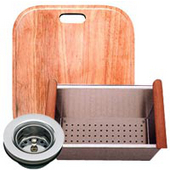 Available in stainless steel, copper, fireclay and many other finishes, our kitchen sinks are sure to blend perfectly with your existing kitchen, or into your remodel plans. 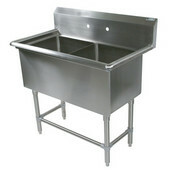 From single-bowl sinks to integrated commercial kitchen sinks, manufacturers like Whitehaus, John Boos, Empire, Houzer, Nantucket Sinks & more, offer only the finest in quality and selection. 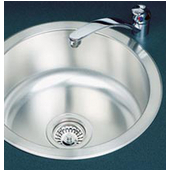 We also offer a wide variety of faucets to match your new kitchen sink. An expert sales team is standing by to assist with your purchase. Please don't hesitate to contact us with questions. 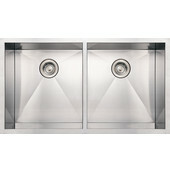 Whitehaus makes high-quality sinks for kitchens of every size, shape and design. 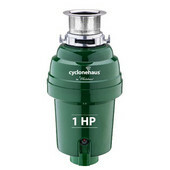 A variety of configurations are available, including single-bowl, double-bowl, triple bowl, apron front, entertainment/prep, undermount and drop-in to suit any kitchen decor. 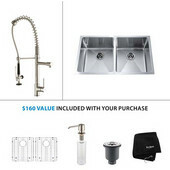 Choose Devon, Euro, Culinary Chef, Super Chef, New England or Prohaus sinks in stainless steel, King Solomon and King Solomon II in copper or Farmer Chef, Farmer Fireclay and Quatro Alcove kitchen sinks in fireclay. 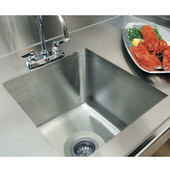 The stainless steel kitchen sinks have special padding and undercoating for excellent sound deadening. 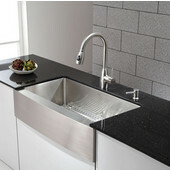 Add an elegant touch to your kitchen with a beautiful and practical kitchen sink from Whitehaus.